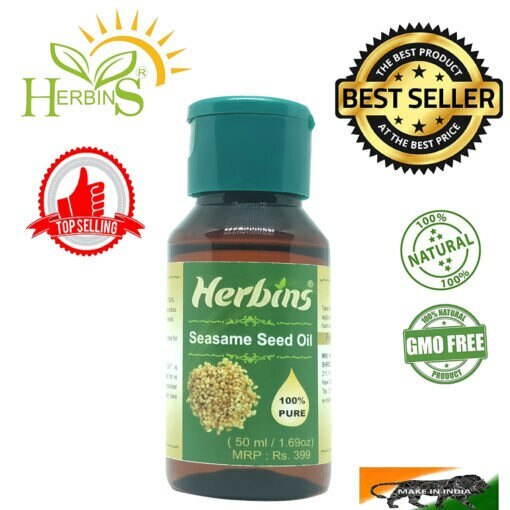 Herbins sesame seed oil is extracted by cold expression from sesame seeds. Herbins sesame seeds oil for skin is good skin care products therefore added to moisturizing and skin care products. Herbins sesame seeds oil is also a good massage oils, add few drops of your favourite essential oil to one table spoon of sesame seeds oil to make a great massage oil, you also have a light & pure body perfume. Herbins Patchouli Oil is 100% pure essential oil derived from leaves of Patchouli plant. Herbins Patchouli oil is ideal for whole bosy. An effective oil massage that cansoothe nervous disorders and stress. 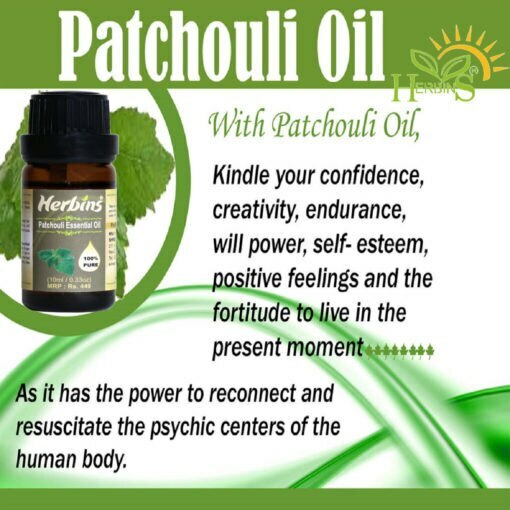 Herbins “Patchouli Essential Oil” is blessing from nature. It can treat a wide array of skin conitions, as well as internal inflammation from conditions like arthritis and gout. 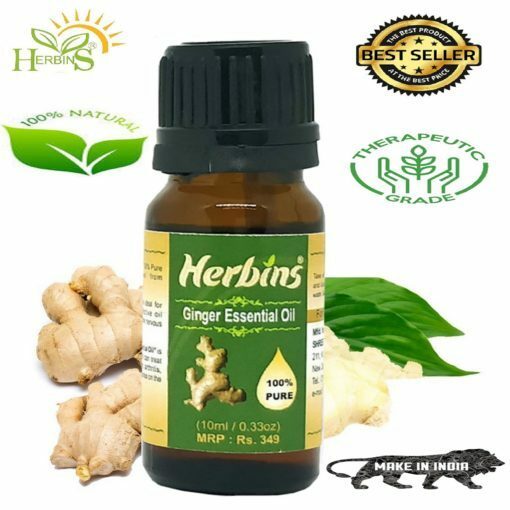 Herbins ginger oil is 100% pure essential oil derived from rhizomes of ginger. Herbins ginger oil is ideal for whole body. Herbins ginger oil for hair growth contains magnesium, phosphorus, potassium & vitamins which further helps in hair growth, reduce hair loss, strengthen hair, get rid of dandruff. 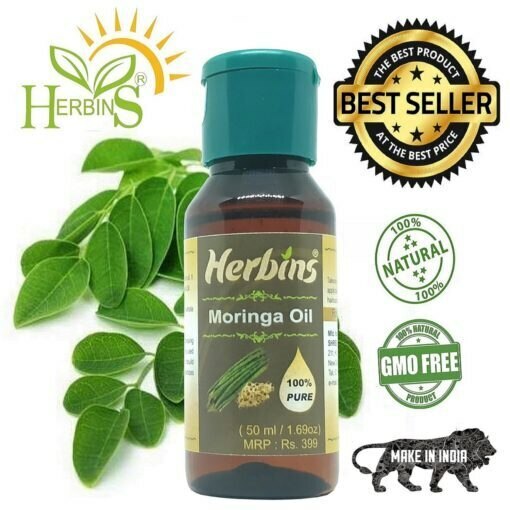 Herbins moringa oleifera oil, moringa seed extract oil, - botanical name: moringa oleifra- family name: moringacease – common name: moringa, horse radish tree, drumstick tree- habitat: found throughout India. We offer cold pressed moringa oleifera oil, which retains all the properties of the moringa oleifera oil. Herbins moringa oleifera oil is the most stable oil in nature and it does not go rancid. 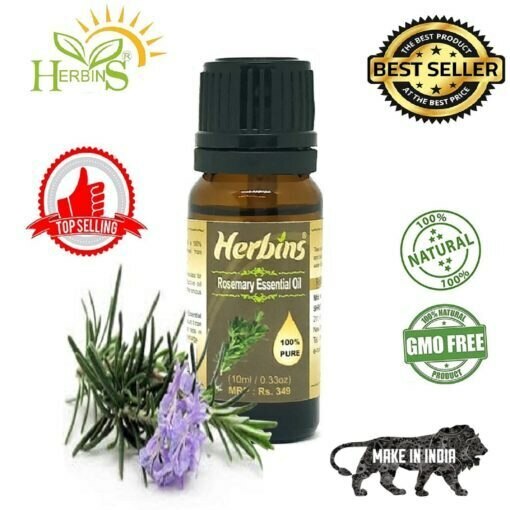 Herbins rosemary essential oil is blessing from nature. Herbins rosemary oil is 100% pure essential oil derived from herb rosemary herb. Appearance: Thin liquid Colour: Colourless to pale yellow Extraction: Herbins rosemary essential oil is extracted by the steam distillation of leaves and flowering tops. Herbins rosemary essential oil can help you in hair growth. Herbins cold pressed rosehip oil is most effective as a skin care products for the face & body, leaving your skin feeling soft & hydrated all day long. 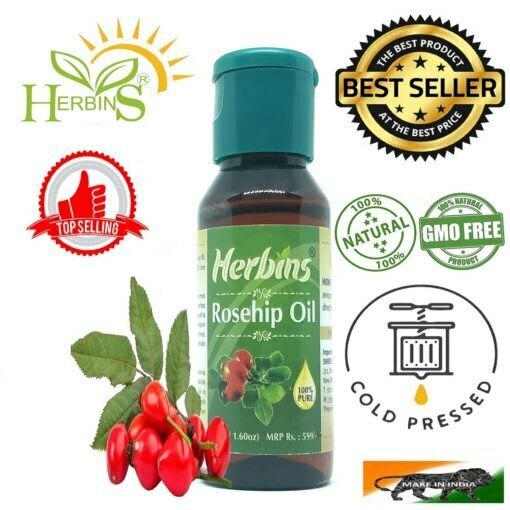 Herbins rosehip oil delivers skin compatible lipids that are undetectable on the surface of the skin compatible lipids that are undetectable on the surface of the skin, providing daily protection from dehydrating environmental conditions. Herbins rosehip oil contains natural retinoic vitamin A omega 3 & Beta-carotene, key nutrient for maintaining healthy skin and assisting in skin cell renewal and repair. Herbins peppermint oil is blessing from nature. Herbins peppermint oil is 100% pure essential oil derived from leaves of peppermint. Appearance: Thin liquid Colour: Clear to pale yellow, sometimes greenish Extraction: It is hydro distillated by leaves and stems. 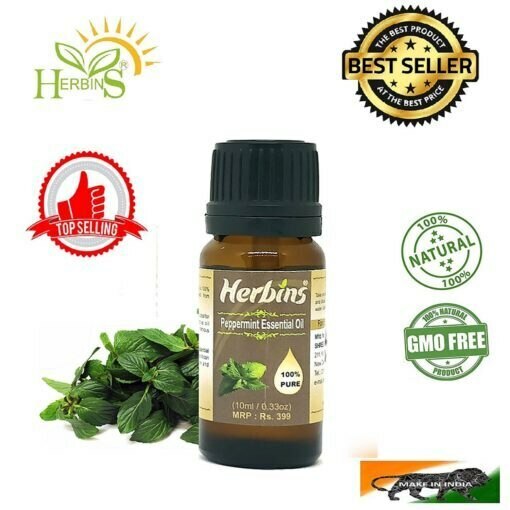 Herbins peppermint oil is also known to calm the mind and take the edge off of anxiety. Herbins grapeseed oil is extracted by seeds of grapes by cold expressions. 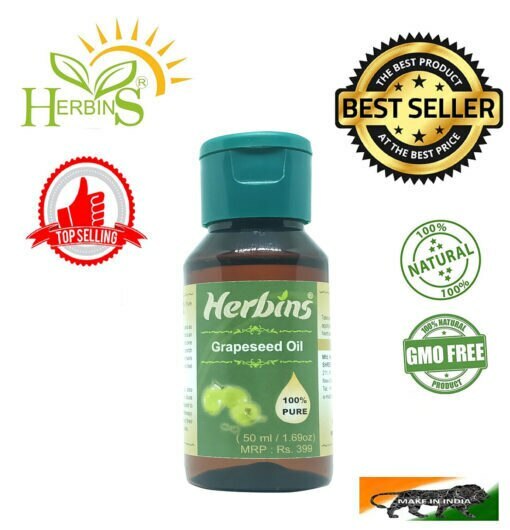 Herbins grapeseed oil for face has anti-aging properties as its helps to fight with wrinkles, dark circles, acne, fades scars and moisturises skin, hence it is overall skin care products. Herbins grapeseed oil for hair growth is good for hair fall, dandruff, hair thinning like problems. 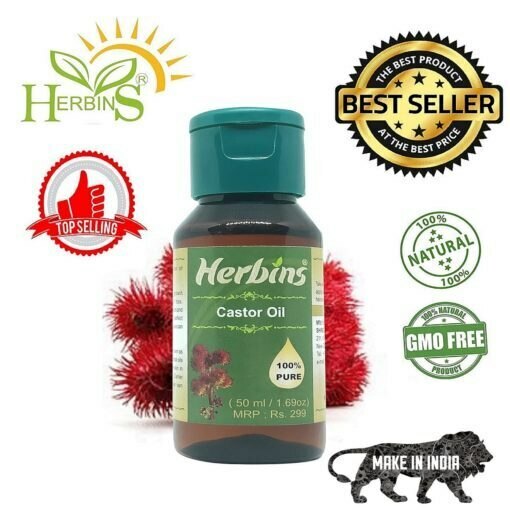 Herbins castor oil cold pressed is an extract from the seed pod of castor. Herbins castor oil for hair growth is best hair growth oil. You can use Herbins castor oil for hair growth is best hair growth oil. You can use Herbins castor oil for hair growth by applying directly to roots of hairs at night and wash with shampoo in morning. Herbins castor oil cold pressed can be used for skin care also, you can use herbins castor oil for skin to nourish dry skin. Herbins castor oil cold pressed also soothes sunburn symptoms. Herbins lemongrass oil is blessing from nature. Herbins lemongrass oil is 100% pure essential oil derived from the fresh or partly dried leaves of lemon grass. Appearance: Thin sherry coloured Aroma: Fresh, Lemony and Earthy Extraction: It is extracted by the steam distillation of the dry leaves of lemongrass. 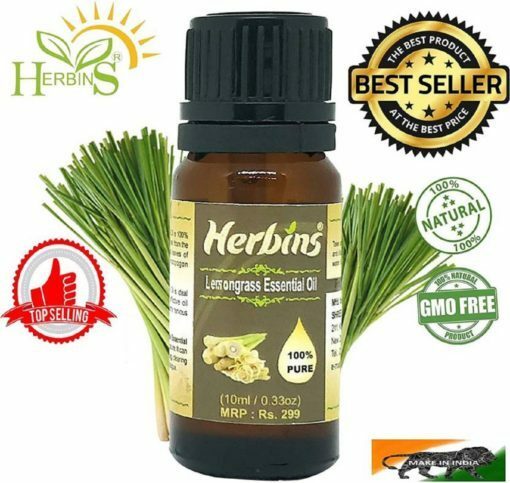 Herbins lemongrass oil is commonly used in cosmetic products for skin care like body lotions, shower Gels and perfumes.